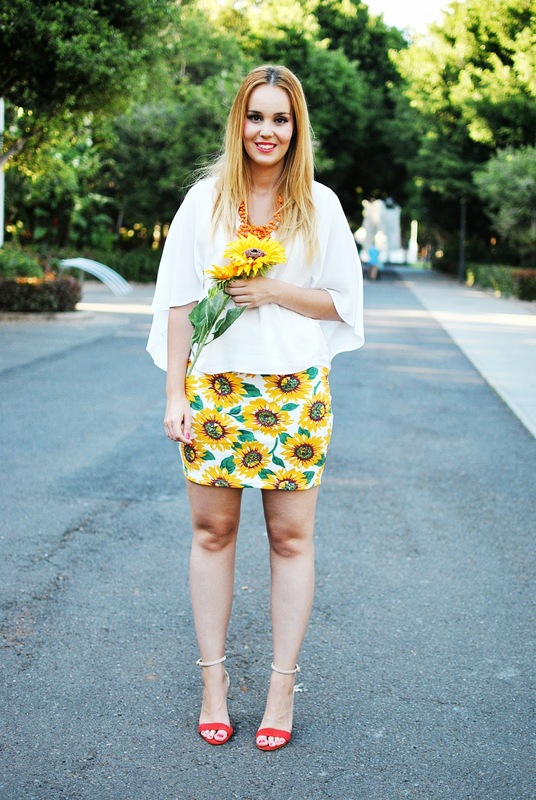 SUNFLOWER GIRL - Hola bellezas! ¿Qué tal ese inicio de semana? ¿Están ya de vacaciones o se acercan peligrosamente? Yo descansaré en Agosto, aunque tendré que terminar un TFM y por ello estaré algo liada. No veo el día en que termine septiembre porque pienso volverme a coger unas semanitas de desconexión y relax. Hoy les traigo un look súper veraniego que me encanta. El print de girasoles está viendose en tiendas online cada vez más, así que cuando vi esta falda de Poppy Lux no dudé ni un momento en que fuera parte de mi closet. Recordarán la marca Poppy Lux del vestido tan bonito que saqué en mi post Burlesque. Ésta vez repito Poppy Lux pero con esta maravillosa falda que no me pienso quitar en todo el verano. La camisa es de nueva temporada de Zara, típico que vas de rebajas y te enamoras de algo de nueva, pues eso. Me encantó por el efecto capa y porque, siendo sinceros, las blusas blancas sacan de muchos apuros y son un must have en un armario. El collar, eso si que es una nueva adquisición rebajil! Lo veo ideal para pasear en veranito con o sin las flores jaja. 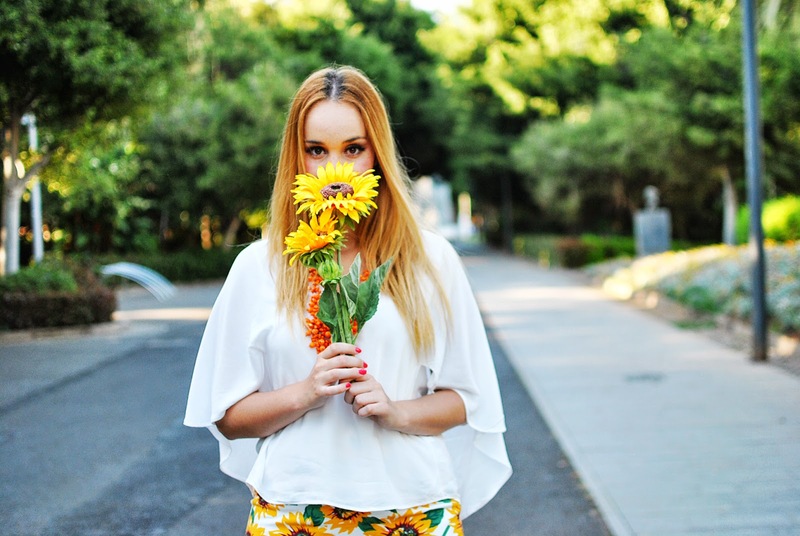 SUNFLOWER GIRL - Hello beauties! How is going on this week? Are you already on holidays? I'm going to take my holidays in August, but I have to finish my Master's Thesis. I can't stop thinking on September, when I'm going to can enjoy a few days of relax. Today I want to show you a summery look that I really love. 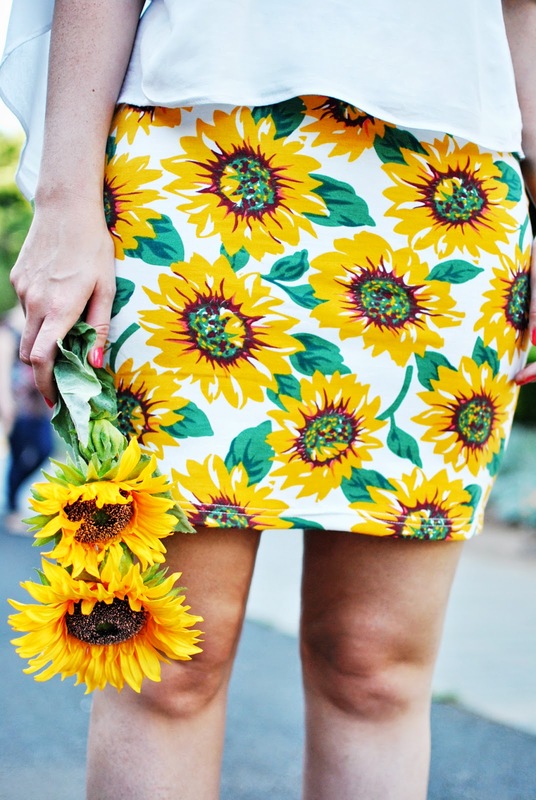 The print of sunflowers is booming right now in lots of shops online, so when I saw this skirt from Poppy Lux I didn't hesitate for a moment and I decided that it must to be part of my closet. You can remember the brand Poppy Lux because of my last look Burlesque, with that wonderful dress. So I'm repeating Poppy Lux but this time with this wonderful skirt that I'm thinking to wear everyday this summer. The shirt is from Zara new season, really common to have the purpose to shop on sales and you fall into the trap and buy something new. I really love it because the layer effect and because, being honest, white blouses are always a good idea and you must have unless one in your wardrobe. The necklace is a new acquisition from sales! I think it's a look perfect for walk by the seaside or enjoy a glass of wine in a terrace. Pero que requetebonita estás! Me encanta. La falda es una pasada. 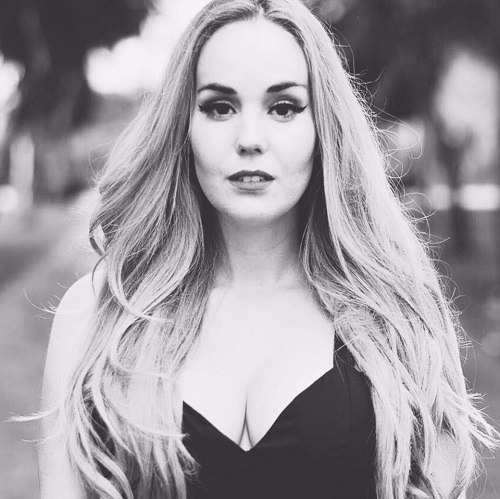 Pero que guapísima estas y la falda es una preciosidad...me encantan las fotos!!! you are so chic and beautiful! I love everything about your blog :) let me know if you would like to follow each other. Beautiful pics! You look gourg! wauw sieht sehr cool aus. ich mag sowieso bunte und viele prints !! !